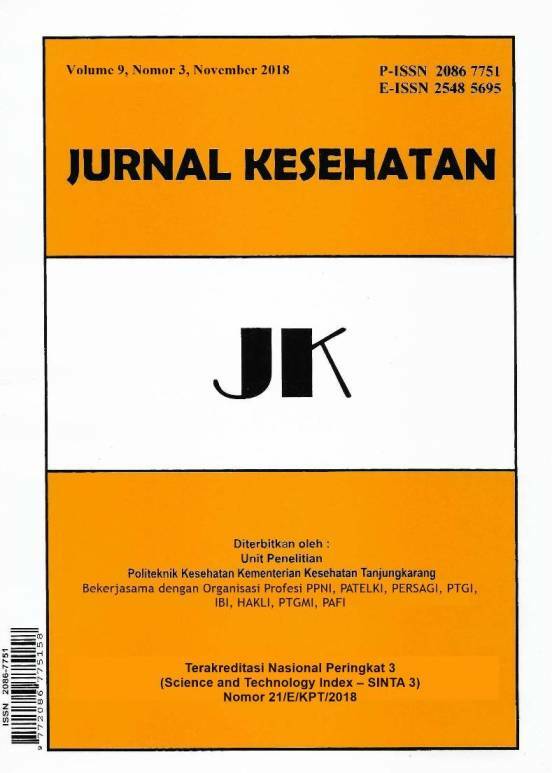 Jurnal Kesehatan published by Politeknik Kesehatan Tanjungkarang with professional organizations (PTGI, PATELKI, PERSAGI, PPNI, IBI, HAKLI, PAFI, PPGI). It contains writings drawn from research and non-research, critical analytical studies in health areas. This journal was first published in April 2010 in print. 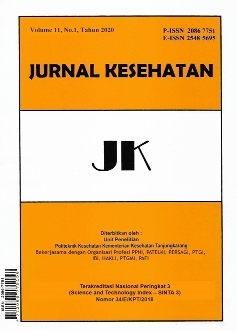 Since 2015, Jurnal Kesehatan has been published in print and online. And since April 2016, Jurnal Kesehatan has National Accreditation in SINTA-3. For writers who want to submit the article, first, follow the guidelines of writing and follow the template that has been provided.